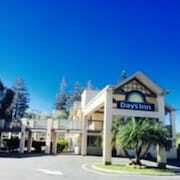 Located in Redwood City, Budget Inn Redwood City is minutes from Woodside Central Shopping Center and close to Menlo College. 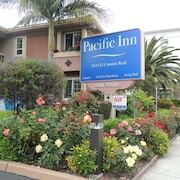 This motel is within close proximity of Bedwell Bayfront Park and United States Geological Survey. Make yourself at home in one of the 40 air-conditioned rooms featuring refrigerators and microwaves. 32-inch flat-screen televisions with digital programming provide entertainment, while complimentary wireless Internet access keeps you connected. Private bathrooms with bathtubs or showers feature complimentary toiletries and hair dryers. Housekeeping is provided daily, and irons/ironing boards can be requested.